We have been watching planets Jupiter and Venus drawing closer and closer together in our evening skies. Tomorrow, June 30, the pair should be 1/3-degree apart — close enough to look like a brilliant double star! Chances are we won’t see the event due to expected clouds, typical of this season. So last night, with thin broken clouds interrupting the view, I set up my camera to catch what I could. 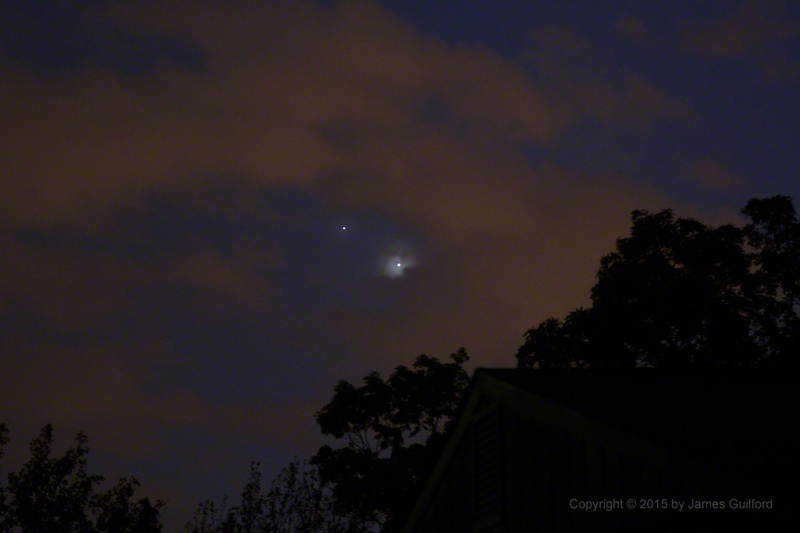 I was pleased to see a bit of drama as brightly-shining Venus created its own nebula in Earth’s clouds.